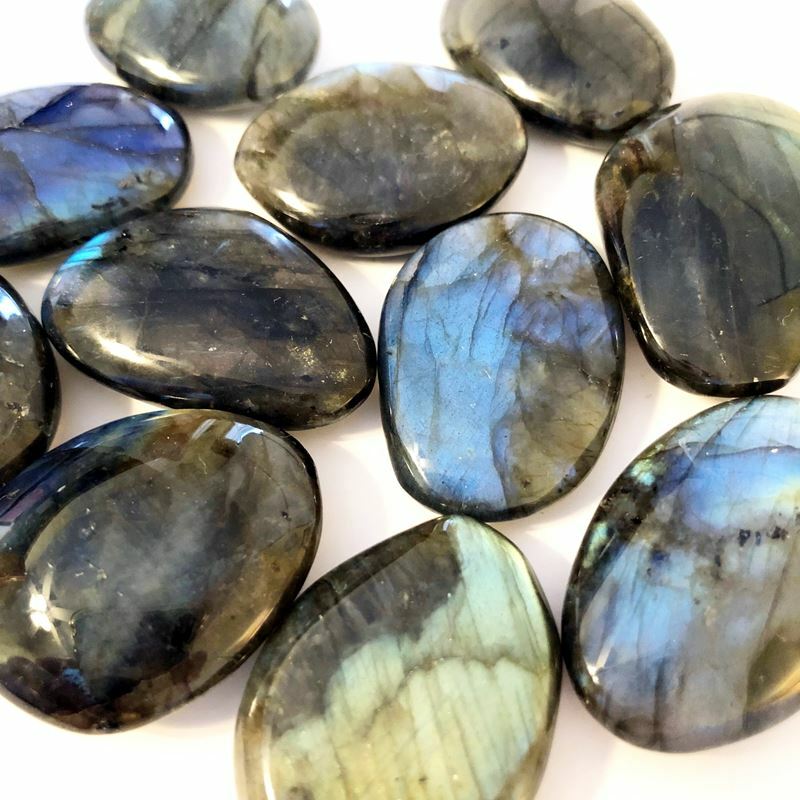 These oval shaped pieces of polished magical Labradorite are AAA quality! They are filled with shimmery blue, gold, and green flash! Stunningly gorgeous pieces. Labradorite helps us see the magical light in all situations, allowing us to see beneath the surface to the truth. 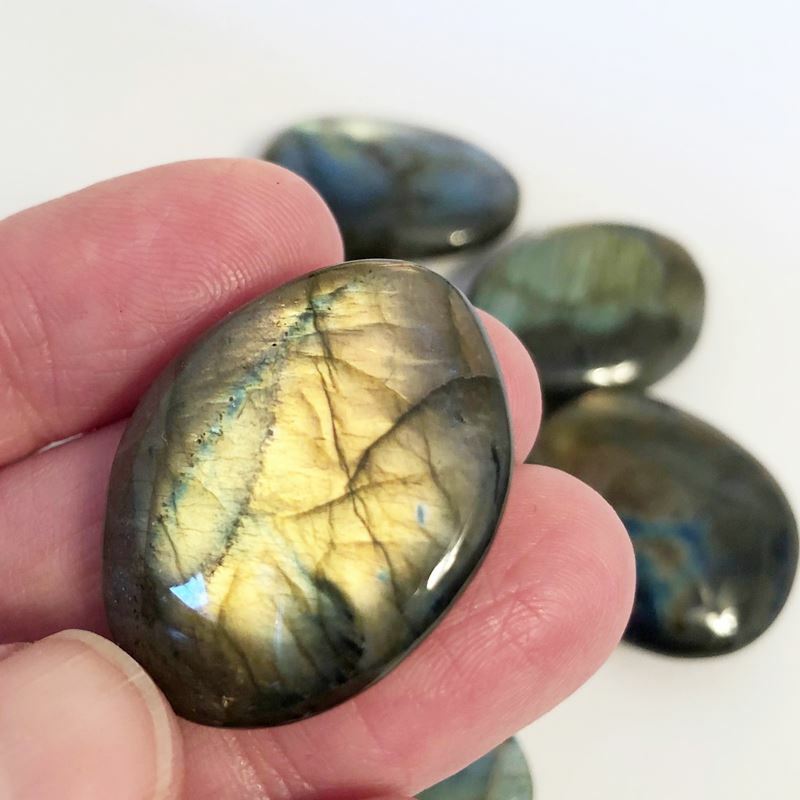 This stone aids in our intuition during transformation, and can help us release judgement of our “shadow selves” to understand that we need both light and dark to survive. It can cut through negative emotions and leave you feeling positive. 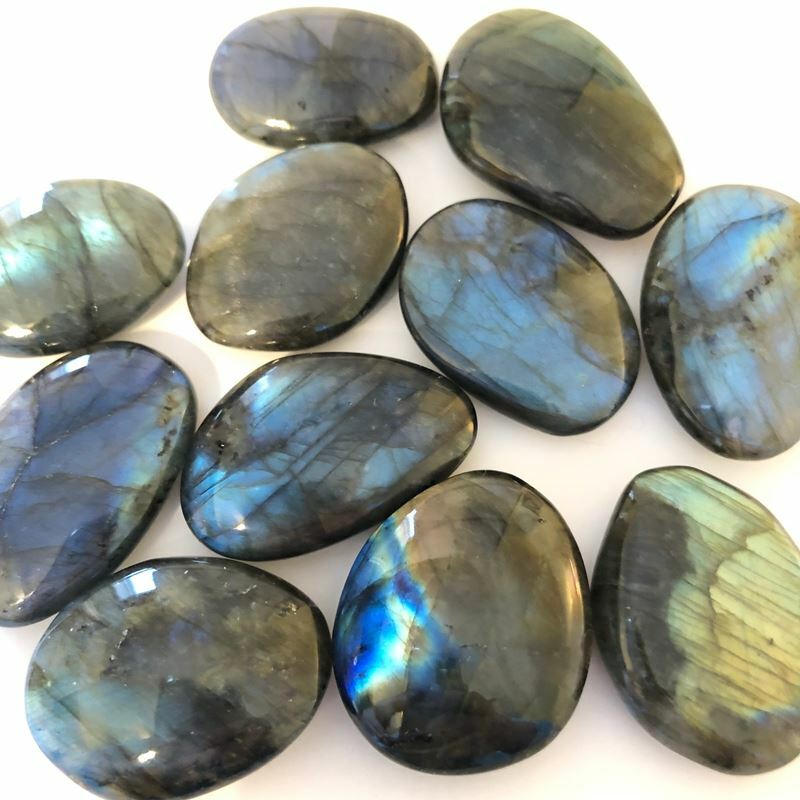 Labradorite supports our present or spiritual purpose. Aids in adapting to new energies and integrating them into your creative structure without impact or overwhelm. Around 1 1/4″ in size.